In a victory for Sears, the Federal Trade Commission has loosened the terms of a 2009 settlement order that may have hindered its ability to sell products through mobile e-commerce apps. In a decision issued this week, the FTC said that new market conditions warranted modifying the order, which wasn't slated to expire until 2029. "Changes in the mobile marketplace since the Order have made it critical for retailers like Sears to be able to distribute interactive mobile applications," the FTC wrote. "Today’s mobile applications typically require the collection and transmission of many different types of data to support the services and features for which consumers have downloaded them." The original order required the company to "clearly and prominently" disclose any programs that track consumers' online activity -- including programs distributed through mobile apps -- and obtain people's consent. Those disclosures were required to be on a separate screen, and to appear before the final user agreement. Last year, Sears asked the FTC to revise the settlement, arguing that the terms hindered its ability to distribute mobile apps. Specifically, Sears said that including the mandatory disclosures creates friction in the initial application launch process and disrupts users' experience. Sears also argued that the disclosure requirements shouldn't apply when the app collects data about its configuration, whether it's functioning, and information regarding consumers' use of the program. Sears had sent emails inviting people to download software, and promised them $10 if they kept the program for at least one month. The emails said the software would track "online browsing." But the FTC found that language insufficient to convey that the software would monitor nearly all online activity, including banking activity, video rentals, library borrowing histories and online drug prescription records. Sears told the FTC last year that the terms of the original order are "obsolete and impractical" for mobile apps. "Sears’ consumers expect that in order to interact with the company’s sites, forms, and offerings, some data collection, use, and sharing is necessary," the company said. The FTC accepted the company's arguments. "The Commission credits that having to provide heightened disclosures and seek consumers’ affirmative express consent for any and all information collection through a mobile application -- when competitors need not do so -- is disruptive to the initial application install flow, without providing a corresponding benefit to consumers," the agency wrote. 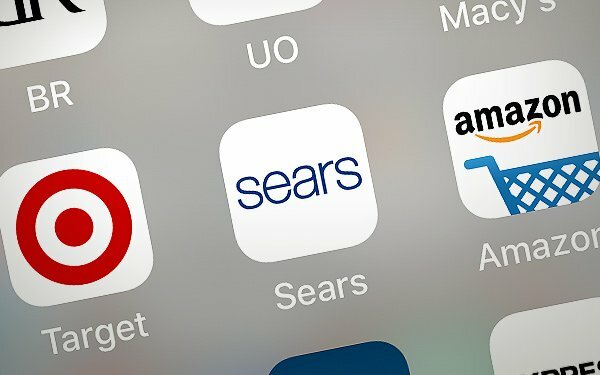 The FTC added that some consumers may have interpreted Sears' mobile disclosures as signifying that the company was collecting or using data in unusual ways.